Oh what a busy spring it has been so far... In addition to seeding and weeding I've also been reading! The new book by Erin Benzakein of Floret Farm is the latest to capture my attention and I am learning so much from its pages. It includes detailed directions for growing, harvesting and arranging seasonal flowers and features many interesting and unique floral varieties to inspire readers to plant and tend a gorgeous cutting garden throughout the year. 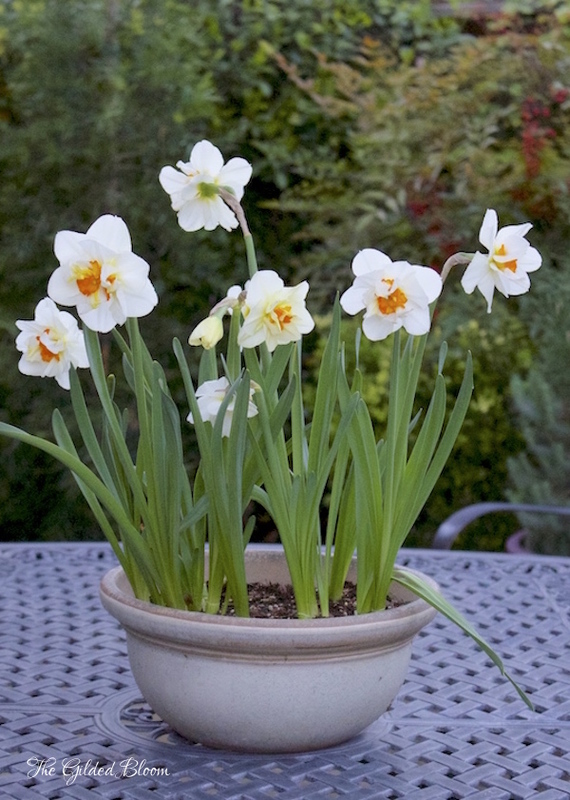 Last October I was enthralled with all the stunning floral beauty I saw on Erin's Instagram feed, and I ordered some daffodil bulbs from Floret for our entry garden and to fill in a few pots on the back patio. I wasn't sure if they would grow up to be as spectacular as those shown online since I planted most in containers, but I have been happily surprised to find them healthy and beautiful in the spring garden. Below are a few photos of the flowers which have been blooming in succession since late February. It has been exciting and fun to see these unique varieties flourish! 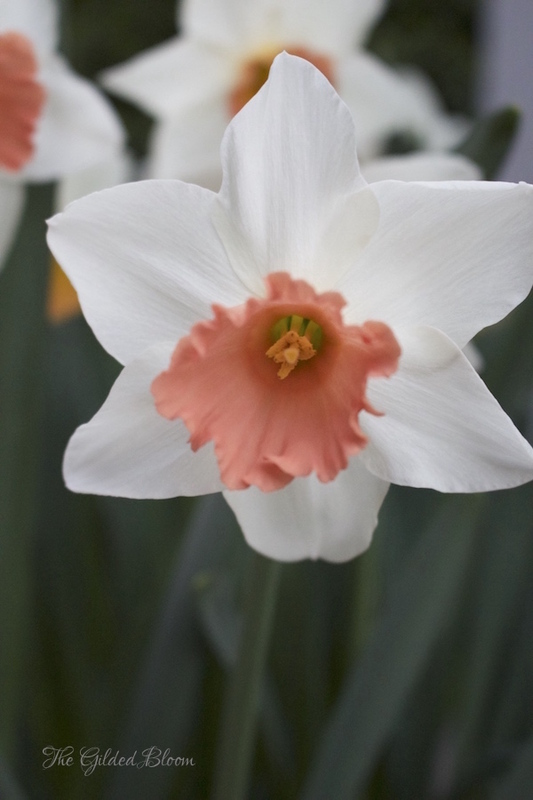 Here is the first daffodil to bloom, "Sir Winston Churchill". These are small flowers with several blossoms per stem and a rich, sweet scent. 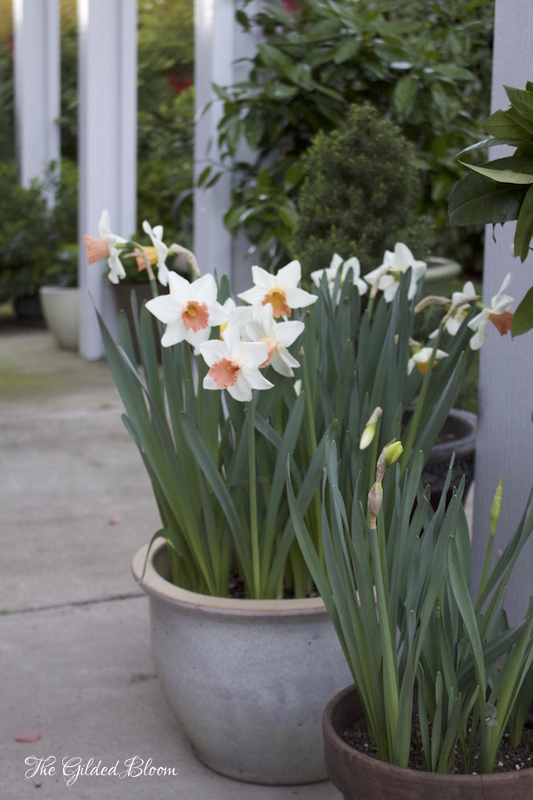 The "Pink Charm" daffodils grew tall and dense with greenery in these ceramic pots. Isn't the color amazing? I like to keep flowers growing in a bowl on our patio table during the rainy season. It is usually too cold to eat outside but we see them from the kitchen window so it's worth it! 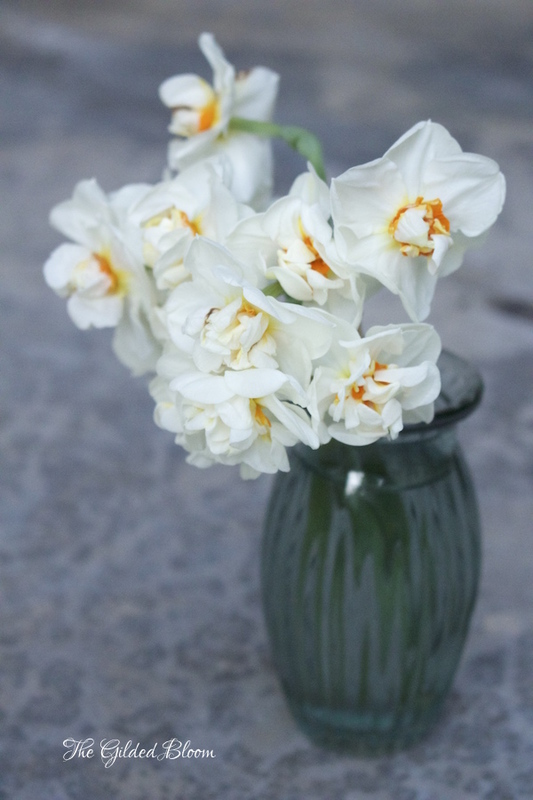 These are "Flower Drift" daffodils. They have a pretty yellow and orange center. 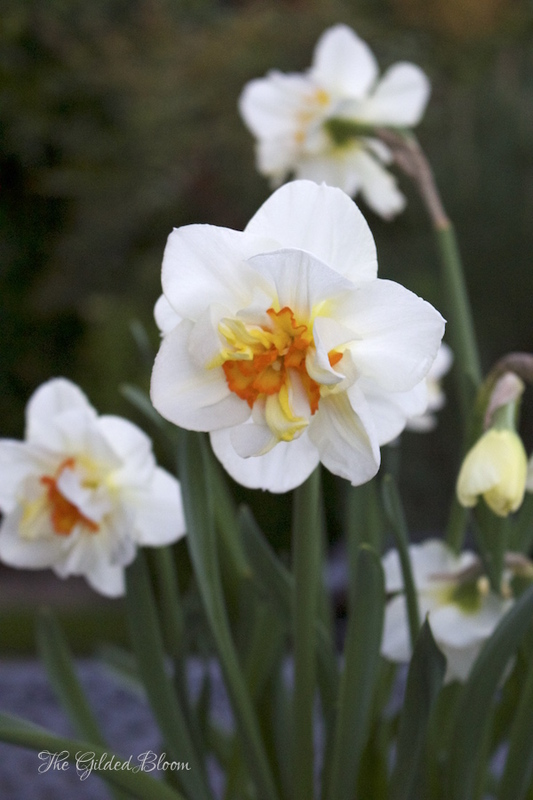 Blooming this week is the "Deinashaugh" daffodil. 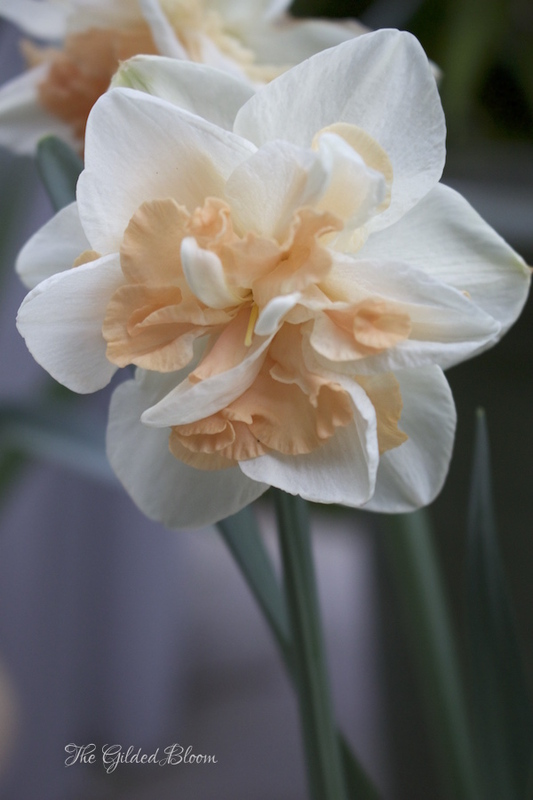 It is a beautiful soft peach color with multilayered, fringed petals. Isn't it exquisite? I'm still awaiting the last of the daffodils, which are budding and about to open. Hopefully, by Easter they will bloom and I will post them on Instagram.